Today is #InternationalClashDay - where music lovers all over the world celebrate the music and message of U.K. punk band The Clash. Around the world, more than 40 record stores and more than 90 radio stations in 16 cities will be participating in special Clash-related programming and events. As the International Clash Day site puts it: "This is anti-racist, and anti-fear. This is pro-solidarity, pro-unity, and pro-inclusion. This is a public service announcement with GUITARS. 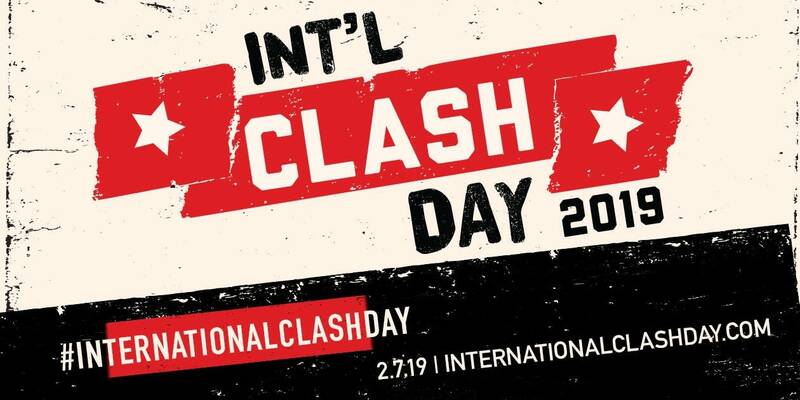 This is International Clash Day 2019, and all day long, all across the globe, we're celebrating music as a tool for social consciousness, a band that made it sound so damn good, and an iconic record that still changes lives 40 years later." Let's explore the world of The Clash for today's 9:30 Coffee Break -- what song by The Clash, or a Clash-adjacent band, means the most to you?